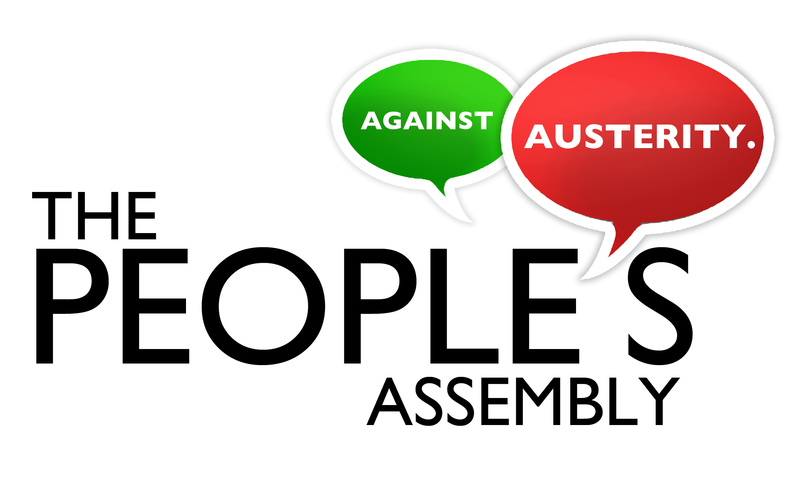 Join the Manchester’s People’s Assembly to protest and highlight the impact of the austerity measures on local people and their communities!! The People’s Assembly (of which the Green Party is a member) has announced a Day of Action this Saturday. In Manchester on Saturday we will be joining together to say ‘Austerity kills Christmas’. Join the anti-austerity choirs from across the city, musicians and mass leafleting with the facts on tax dodging and the impact of austerity. Our friends in Occupy are leading with Elf not Wealth and we can go mobile visiting our local tax dodging shops. Come dressed for Christmas, panto characters or Dickensian – you get the picture – we want to be very visible and loud! This is a shout out for seasonal action on December 14th! We will be meeting for a festive themed get together with ‘alternative’ carol singing and the hope of making lots of noise to raise awareness around the systematic austerity measures which our communities are subjected to! We will be inviting speakers to speak on their personal experiences of these austerity measures i.e. the bedroom tax, benefit cuts and the rise of the cost of living. We would like to hear from you about the impacts these have had on yourself and your community. We would also like to hear about from anyone who can share their recent experience of local action and campaign groups. We hope to be supported by the Open Voice Choir (to cover my musical sins and atrocious voice!) But we also encourage others to upload alternative lyrics and revolutionary songs which will get discussion going and make for an excellent parade-like atmosphere. We want our presence to be felt in Manchester so please believe the hype and make banners, placards, leaflets and work together in groups to help create a dramatic impact! Please check both event pages for ideas and join the discussion! If you are a musician, drummer, singer or dancer please be creative and join together on how we can highlight the stories of how we feel these economic policies and it’s deep impact across our communities! Please attend with your local groups, parties, organisations, unions, mates or independently as an individual… We are a friendly bunch! Please like and share this event with anyone you think may interested. Let’s try and make this an active discussion with loads of ideas and attempt to reach as many people as possible! In solidarity with all affected, austerity will kill Christmas. This entry was posted in Campaigns and tagged Austerity kills, Austerity kills Christmas, Manchester - Austerity kills Christmas, the Green Party, The People's Assembly by tamesidegreens. Bookmark the permalink.